A Learning Management System (LMS) can provide tremendous benefits both for the training department and for the organization in general. There are numerous choices for LMS providers, as well as functionalities, so an LMS implementation project can become quite confusing. Just what are the LMS basics and how can a system help your organization? To start with, let’s discuss what an LMS really is. In basic terms, the LMS is a system that helps you deliver and manage training in numerous formats. One of the first misconceptions about an LMS is that it is used solely for the delivery of online courses. While this is an important component, it is not the only reason to use an LMS. The LMS consists of a few separate parts. First, the management system consists of the tracking and reporting of the organization and individual learning activities. Second, the content authoring system (or LCMS) allows the training department to create and or upload its own in-house or purchased learning content and courses, and the third part is the content and courses themselves. Why would an organization need an LMS? The tracking feature of most LMS systems is worthwhile in itself. Individuals, their managers, and organizational management can track who has completed what courses for advancement, certifications, compliance, and even human resources concerns. Plus, the record, if backed up properly, will always exist. The LMS tracking can also assist in measurement of training effectiveness by managing evaluations, course completions, and course attendance – this is a tremendous benefit that renders manual tracking obsolete. The LMS content delivery system can deliver training to diverse populations in any Inter- or Intranet accessible location and can even serve as a knowledge repository for policies, procedures, and quick reference guides. The LMS can serve as an “educational counselor” for individual associates, keeping track of their career path and showing them what courses they need to complete in order to move to the next career level. Along those lines, managers can coach employee development using the information from the LMS. For example, if an employee wants to advance or has specific issues in specific subject areas, the manager can locate appropriate training courses or content and put them in the employee’s learning plan. The manager can also pull transcripts to make sure that learning has been a part of the employee’s development, especially when performance evaluation time arrives. The easiest functions for employees include looking up classroom courses, registering for them, and setting reminders to attend. Training content is also not limited to employees. Some organizations use their LMS to deliver content to multiple locations as well as partners, clients, and vendors. Access to content is dependent on a pre-assigned security level, so keeping people in the correct subject areas is relatively simple. There are some potential opportunities to be found with an LMS. Some “vanilla” systems may require extensive customization to suit each organization. When choosing an LMS, it is absolutely necessary to analyze your organization’s business and determine what functions you really need. Customizations can become quite expensive. In addition, choosing a course library is also a potential opportunity. There are many choices out there, from general to specific, so it’s again important to determine what types of content your organization needs before purchasing a library. Along with course libraries comes the ability to create or upload in-house content. Be sure to look at the options for this before selecting a system. 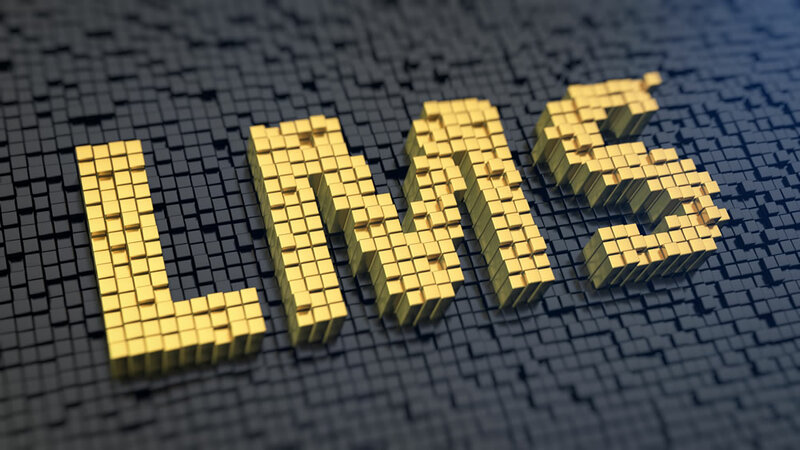 Some LMS providers have highly functional content management systems that would allow content designers, instructors, or even subject matter experts to create content that is branded and suitable for immediate delivery. Other systems may require that a graphics designer create the course in a format that is compatible to the LMS and upload it, which creates an extra step between content design and deployment. But along with potential opportunity comes tremendous benefit to the organization. First, automated tracking and delivery creates efficiency, cost savings, and better reporting. This tracking also makes it easy to cover compliance related bases or to prove that employees received a certain type of training. The self-management features of the LMS, such as career paths and transcripts, can create upward mobility for the employee population as well as higher retention for the organization. Many LMS providers offer a “testing engine” which allows for all testing to occur online, whether the employee attended class online or in a classroom. And some LMS providers even offer the ability for online course participants to collaborate virtually, another great way to engage learners and encourage them to network with their peers across the organization. Now that you have an idea of the Learning Management System basics, you can select providers that best suit your organization’s needs – and lessen the fear of ultimately making a choice.